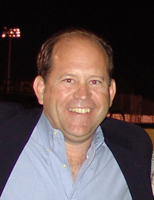 Eugene T. Joyce has been hired by Turf Paradise as the track's general manager, replacing Randy Fozzard, who has taken a position with the newly constructed Zia Park in Hobbs, New Mexico. Joyce, who has been involved in racing since 1978, leaves a position as assistant general manager of Lone Star Park at Grand Prairie to join Turf Paradise. "I am looking forward to coming to Arizona, seeing many familiar faces, meeting new people, and taking on the challenge of running a first class facility like Turf Paradise," commented Joyce. Joyce was general manager at Wyoming Downs from 1991 through 1998 and SunRay Park and Casino in 1999 prior to joining Lone Star Park in 2001 as director of product development. He also worked at Arlington Park and served as director of player development and interim general manager at Remington Park. He has been a racing committee member and past chairman of the graded stakes sub-committee for the AQHA. A graduate of Marquette University, Joyce has held positions outside of the racing industry with Host Communications, Turner Broadcasting Systems, Madison Square Garden Network, and the City of Evanston, Wyoming.